The Christan Association of Nigeria (CAN) has made five demands on the Federal Government. The demands were handed over to Acting President Yemi Osinbajo at a closed door meeting at the Presidential Villa, Abuja on Wednesday. CAN was led on the courtesy visit by its President, His Eminence, Rev Dr Samson Olasupo A Ayokunle. 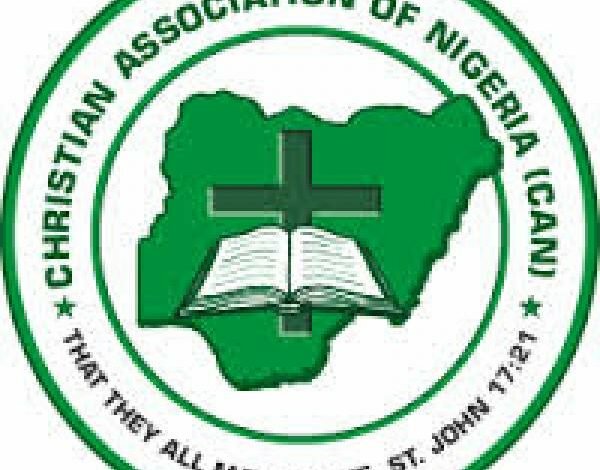 The leadership of Christian Association of Nigeria, the umbrella body for all Christian churches in Nigeria is here today to pay you a goodwill visit and to pray for the speedy recovery of the President of our nation, President Muhammadu Buhari so that he might be able to come back home and continue with his leadership responsibilities of this country to the good of all. It is our prayer that there would be miraculous intervention in his healing and all praises shall be to God. This is our sacred duty as fellow human beings who can also fall sick and as Christians who value so much the life of all living creatures, especially human beings. “On the other hand, we want to commend your Excellency for doing your best to see that no vacuum is created by the team left behind by the President in the governance of the nation. We are watching the dexterity with which you are leading others to carry out government business with sense of admiration and thanks to God. We commend your submission to your principal and your humility in service. Obnoxious, divisive and ungodly secondary school curriculum. “We are here to point your attention to a time-bomb, obnoxious, divisive and ungodly secondary school curriculum that the Federal Ministry of Education is introducing into our schools and of which we had earlier complained to the Presidency. Then, if I am not mistaking, it was suspended but has again been re-introduced without any review at all. This curriculum the brain-child of Nigerian Educational Research Council, an agency of the Federal Ministry of Education. To us in Christian Association of Nigeria, it’s introduction is an ill-wind that blows nobody any good for so many reasons. Lead a State has started implementing it already and Christians that are more on the receiving side of it are already crying fowl because of its potential dangers now or in the future. “In this curriculum, Islamic and Christian Religious Studies will no longer be studied in schools as subjects on their own but as themes in a civic education. This is undermine the sound mitral values that these two subjects had imparted in the past to our children which had made us to religiously and ethnically co-exist without any tension. It was some three or two decades ago when our education planners started removing the teaching of religious values through the cancellation of morning devotion in schools that all these violence by youths in different forms came on board. I was in a meeting yesterday with some Muslim leaders where one of them also expressed his fears about the dangers in this new curriculum. As prophets to the nation, we demand a complete withdraw and ban of this curriculum. If allowed to be implemented, it would lead us to a godless nation with violence and all forms of ungodliness as the order of the day. “Furthermore sir, this curriculum went ahead to introduce Islamic Arabic Studies in another section together with French and made one of the two compulsory for the student. You are aware that we have very low percentage of French teachers in all our secondary schools in Nigeria. I am sure that over 80% of our secondary schools do not have French teachers at all but have Arabic teachers. The implication is that Christian students would have no choice than to study Arabic. If a Christian student voluntarily goes to study Islamic Religious Studies, there is nothing bad in that because some of us in both religions had done that before for better understanding, however, where the student is tactically forced into studying it because the alternative subject does not have teacher to teach it, it is a great problem tending to Islamization. “Still in this curriculum, Islamic Religious Knowledge was equally made available as a subject in another section without any corresponding availability of Christian Religious Knowledge. Is this not a divisive curriculum that can set the nation on fire? Is this fair to millions of Christians in this nation? A Christian student in a secondary school in Kwara State had the body lacerated with cane by the Arabic Teacher because the pupil refused to do Arabic Studies when French Teacher was not available and Christian Religious Knowledge, Hebrew or Greek were not part of the options at all. If we are going to do pilgrimage together as a nation, there must be fairplay, mutual respect for one another and justice which can be brought about by different arms of government. We demand for justice from the government on this matter very quickly. We would request for a return to the curriculum we were using before this dangerous one which did not produce insurgents or a wrongly indoctrinated Nigerians. A stitch in time saves nine. You are aware sir how the rampaging Herdsmen have been decimating the lives of farmers in this nation from the North to the South, the East and the West. Southern Kaduna is not totally free from their grip up till now. Killing and maiming of farmers continue in Benue, Enugu, Abraka in Delta State just to mention a few. The most painful thing is that we are seeing their victims without the seriousness from the law enforcement agents to arrest and successfully prosecute the murderous herdsmen. This has encouraged them to continue in their killing and kidnapping spree with reckless abandon. “Don’t we have a competent government in place with all the necessary law enforcement apparatus to ensure law and order? This government has to do more than what you have done presently to bring these criminals to Book. They had deemed the hopes of many and caused unprecedented sorrow in many homes. Please sir, do something to the activities of herdsmen before they destroy almost all Nigerians or before everybody would look for weapons for self defence. The sources of their weapons must be probed. ” We thank the Police and DSS for their recent breakthrough in apprehending some kidnappers around the country. This effort must be sustained for safety of all of us in our movements for our daily bread. We urge you to call the attention of Kogi State Governor and the Inspector General of Police to the kidnapping ring on Lokoja-Okene Road, Lokoja-Kabba Road and Abuja-Kaduna Road. Every week, several travellers are kidnapped on these roads. The feelers we have from those who got set free from them after the payment of huge ransom was that from the kidnappers’ conversations, the Police and the Community Leaders are partners with the kidnappers in the evil act. These two groups receive their own share from kidnapping. We suspect that the money amassed from kidnapping may still be used to cause further havoc by the terrorists perpetrating this act. We are hopeful that through your intervention and our prayer backing, there would be reprieve for Nigerians. Ultimatum from some Northern Youths and an Elder for the Ibos to vacate the North. “We are so disappointed to hear the ultimatum of hate made by some Northern Youths that the Easterners of Igbo extraction should leave every part of Northern Nigeria within three months. We condemn such statement in strong terms and we see it as divisive, misguided, ethnocentric and unconstitutional. We urge that the law enforcement agents should be directed by you to go after those behind it whether young or old. It is a reasonable statement that no amount of previous provocation can justify. We commend you for talking tough on this dangerous statement but still urge sir that you get them arrested as Kanu, the leader of Indigenous People of Biafra was arrested and prosecuted. We believe in one indivisible Nigeria where our diversities can be explored for growth and development. We must be tolerant of one another and co-exist in love. Youth unemployment is another development of great concern in our nation. We urge your government to pay more attention to this issue by creating investment friendly environment that would absolve millions of youth roaming the streets daily without job or hope for tomorrow. Industrial Estates should be created as the late sage Chief Obafemi Awolowo did in Lagos which brought many industries to Lagos and is still the life wire of Lagos State economy till today and a major employer of labour. If this is done, kidnapping and other violent crimes would reduce and there would be tranquillity in the country. We would appreciate that from time to time you would create time to see the leadership of CAN for progressive discussion like this and prayers. Thank you very much sir for your time and patience.” it stated.